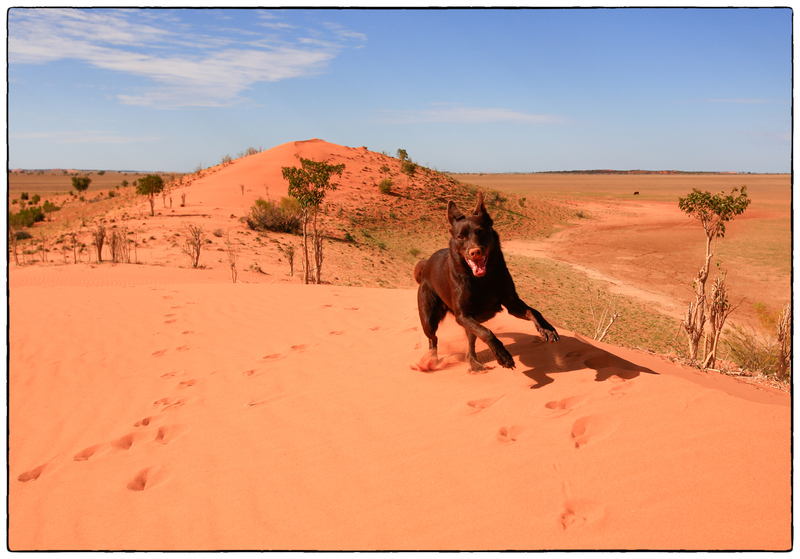 What is an Australian Kelpie, who lives in an urban townhouse, to do when she has the opportunity to explore a red sand dune in the outback? Why………stick her nose in the sand and go crazy……..of course! A cow grazes peacefully in the background.